France reacts to the Iraqi court’s decision of issuing a death sentence to a German woman, who allegedly belongs to the Islamic State. Paris has responded to the decision, saying that, “it will intervene” if its nationals are given capital punishment in Iraq or Syria, for belonging to militant groups. 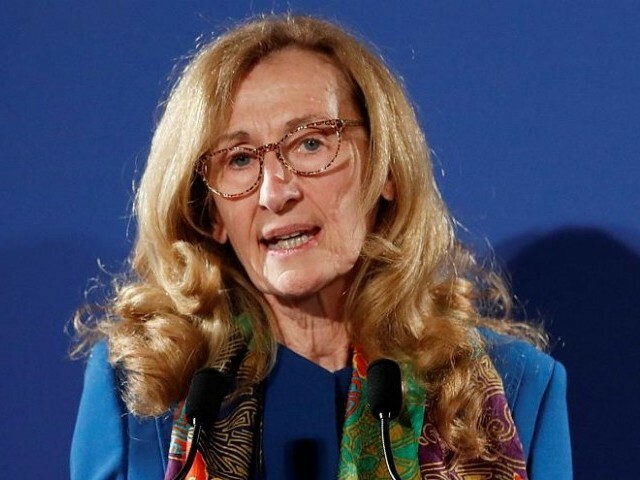 “Of course if there was a question of the death penalty, the French state will intervene,” Justice Minister Nicole Belloubet told French Media outlets on Sunday. When the minister was asked to elaborate on her comments she said, France would “negotiate with the state in question… on a case-by-case basis”. The comments followed up after the Iraqi court ruled a German woman guilty of belonging to the Islamic State militant group. In the past French citizens have been recorded as being the vast majority of overseas fighters who have enlisted with the militant group. Local French intelligence services have reported that 690 French nationals were fighting alongside militants in Iraq and Syria in November. Earlier this month in Pakistan, Vice President (VP) of al Azhar University in Egypt, Mahmood Ahmed Hashim said that Muslims cannot allow the west to dictate the meaning of Islam to them, he said while talking to Express News. Talking to reporters at an invitational event in Karachi Press Club, Hashim emphasized the historical significance of the Egyptian institute in his speech. “Al Azhar University has been faithfully serving and guiding the Muslim community worldwide for the past thousand years,” he told the media personnel present on the occasion. The vice president also spoke about the need to reform the image of Islam on the international stage, especially so because terrorists were bent on trying to shift the narrative away from the message of peace. “Some elements associate the menace of terrorism with Islam only to defame the latter. We cannot accept or allow westerners to interpret Islam for us,” he stressed. This article originally appeared in euronews.